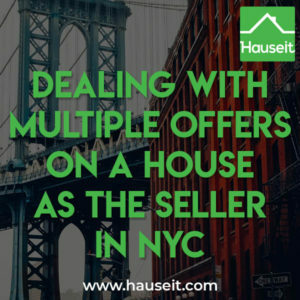 Dealing with multiple offers on a house as the seller in NYC is easy. Because offers aren’t binding in New York until contracts have been signed, you should accept multiple offers especially if they are all attractive. There are no prohibitions against sellers sending out multiple contracts simultaneously. Should You Hold a Best and Final Offer Process? Can You Accept More Than One Offer as the Seller? Should You Reveal That You Have Multiple Accepted Offers? Can You Receive Multiple Signed Contracts? Yes, there’s no harm in doing so because nothing is final in NYC real estate until contracts have been signed. This means nothing irreversible happens if you hold a best and final and you don’t like the results. You can simply hold a second best and final auction the following week! 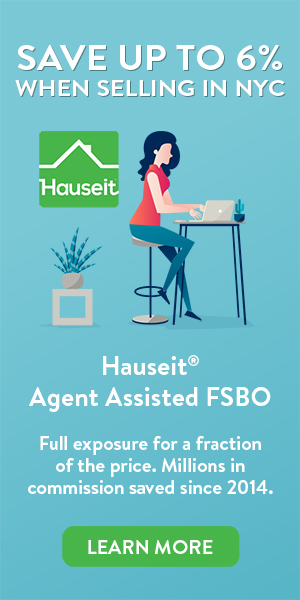 In fact, holding a best and final offer auction process is one of the most common ideas that listing agents have when confronted with multiple offers on a house. That’s primarily because it’s an easy way to maximize the competitive energy among bidders and to save time by having everyone put their best foot forward at the same time. Why does this save time? Think about it. If you didn’t hold a best and final offer when confronted with multiple offers on a house as the seller, you’d have to call or email each bidder individually to negotiate. If one bidder improved, you would have to call the other bidders individually to see if they’d like to match or improve. This kind of salesmanship is hard to execute unless you have an experienced real estate listing agent, and also takes a lot more time to pull off vs just holding a best and final offer process. As a result, holding a best and final offer process is the default choice for listing agents and sellers alike when confronted with multiple offers on a house in NYC. Pro Tip: Do auctions and best and final processes lead to quicker home sales? Read our guide on how to sell your house fast in New York to learn more! Yes, there is nothing preventing you from accepting multiple offers whether you are the buyer or the seller. Remember that offers in NYC don’t really mean anything as they aren’t binding at all. In fact, it’s all negotiable until contracts have been signed, at which point deals do become binding. Just remember that buyers can just as easily have multiple accepted offers, and are negotiating a contract on another deal in parallel with yours. As a result, it’s never a good idea to play too nice and assume that everyone in the world has the best intentions. Everyone is in it for themselves at the end of the day, at least when it comes to buying expensive NYC real estate. If you’re lucky enough to have multiple strong offers on your home, then you should definitely feel free to accept two, three or all of them. Keep in mind that your real estate attorney may protest at having to do more work, but most of them are used to these types of scenarios. Once you have multiple contracts out, you can rest easier knowing that if one party backs out or tries to renegotiate the deal, you can tell them that you’ll just go with someone else who has already reviewed the contract and is almost ready to sign. Now that’s power! Pro Tip: If your apartment is priced to sell, you’ve taken professional photographs, and you have a one of a kind unit that really sells itself, do you need to pay 6% to a listing broker? Read our article which answers the question of can I sell an apartment in NYC without a broker to learn more! 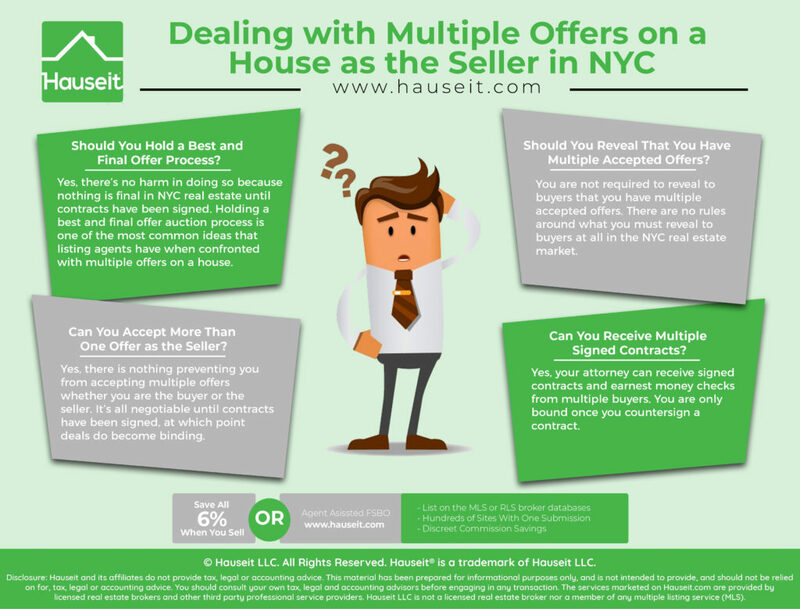 You are not required to reveal to buyers that you have multiple accepted offers. In fact, there are no rules around what you must reveal to buyers at all in the NYC real estate market. No one is going to require you to disclose offer prices or the number of offers you have. Sure, buyers and their agents will try to fish for more color, but it’s up to sellers and listing agents to decide how much information they want to reveal. So does that mean you should be tight lipped and not even tell new potential buyers that you have an accepted offer? That depends on whether you’re inclined to continue showing the property for backup. If you feel that your accepted offer or offers are shaky, then by all means continue showing to new buyers without discouraging them by telling them that you have other offers. Conversely, if the accepted offer or offers you already have are quite solid and you don’t feel like showing the property any more, then just tell new buyers the situation and tell them that you’ll come back to them if things fall through. Some listing agents may feel that telling interested buyers that they have an accepted offer or even just offers that haven’t been accepted will juice competition; however, that strategy often doesn’t work out. In our experience, buyers will more often than not decline the opportunity to see a property if it already has an accepted offer. Why? Because buyers also don’t want to waste their time! Pro Tip: Should you tell buyers that they are the backup offer instead of accepting multiple offers? Read our article on the backup offer in real estate in NYC Explained to learn more! Yes, your attorney can receive signed contracts and earnest money checks from multiple buyers and that’s okay. Nothing is binding for you as the seller until you have counter-signed the contract and returned it to the buyer’s attorney. In fact, some buyers’ attorney will try to stipulate that a contract is only to be considered fully executed after they have confirmed receipt of it in writing. As a result, it’s perfectly fine for sellers to receive multiple signed contracts, and then even try to renegotiate and shop the buyers’ signed contracts with each other and new buyers. None of it means anything to the seller until the seller counter-signs one of the contracts. Of course, you can’t counter-sign more than one contract unless you have a clone of your home! Pro Tip: While it’s certainly possible to do this when dealing with multiple offers on a house as a seller in NYC, it won’t win you any friends. Most seller’s attorneys won’t encourage their clients to lead buyers on too long, and not multiple buyers to the signed contract stage. Most seller’s attorneys will encourage their clients to counter-sign within a day or two of receiving the signed contract from the buyer as a professional courtesy.